ICAST 2017 Best of Show Baitcast Combo Award Winner. 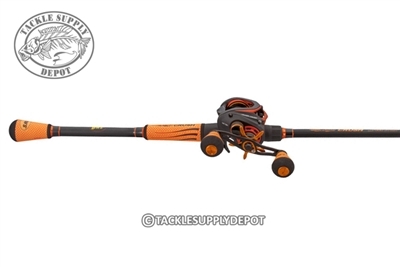 The Mach Crush baitcast outfits feature Lew's exclusive SLP Super Low Profile compact Speed Spool design in a durable graphite frame with graphite sideplates. Its high-end performance comes from a premium 10-bearing system with double-shielded stainless steel bearings and ZeroReverse anti-reverse. The rod also boasts of quality. Its one-piece IM8 graphite blank is constructed using Lew's proprietary Nano technology to achieve the perfect blend in strength and sensitivity. The rod guides are American Tackle's innovative Airwave system and the rod handle is a Winn Dri-Tac split grip. 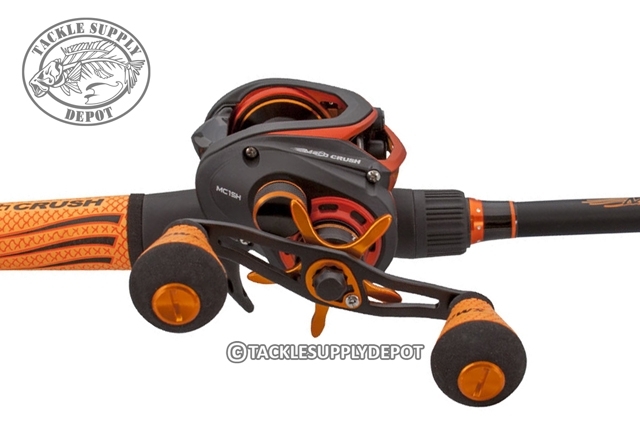 Featuring Lew's exclusive SoftTouch graphite skeletal reel seats.